In order to retain our goodwill in this industry, we are providing a qualitative array of Excavator Bucket Tooth. BEST Quality Bucket tooth points for Pc200 .. in diffrent models . The manufacturing is our own . It is manufactured in special Alloy steel grade..
JCB TOOTH. PART NUMBER - 531/03205. 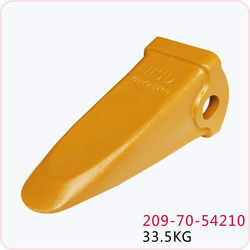 manufacturer of JCB bucket teeth with long life. We are successfully meeting the varied requirements of our clients by providing the best quality range of JCB Tooth. We have Tooth Adapter Pin & Locks, available for most of the equipments available here in India. 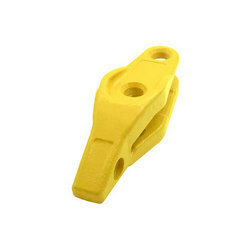 IMPORTED TOOTHPOINTS & ADOPTERS FOR ALL EARTHMOVING EQUIPMENTS.